Bolivia provides a budget-friendly option for exploring the rainforest. It’s cheaper and less crowded than the Amazon tours from Brazil. In this guest post, Erin from Never Ending Voyage shows us how we can experience the rainforest by going through Bolivia at a cheaper price! A visit to the world’s largest tropical rainforest is at the top of many travelers “to-do” lists while in South America, and when most people think of the Amazon jungle, they think of Brazil. Yet the Amazon basin covers nine South American countries, meaning that you don’t have to take an expensive tour in Brazil to see the jungle. Bolivia provides an amazing budget alternative from which to visit the basin. Not only is it cheaper and less crowded with other tourists but it’s just as biologically diverse as Brazil. The starting point for trips into the Bolivian Amazon is the town of Rurrenabaque. It’s straightforward here to sign up for tours, and it’ll be cheaper than if you book in advance in La Paz. Moreover, it’s a small town, so it’s easy to wander around and find a guesthouse for around $5-10 a night while you check out a few tour agencies. 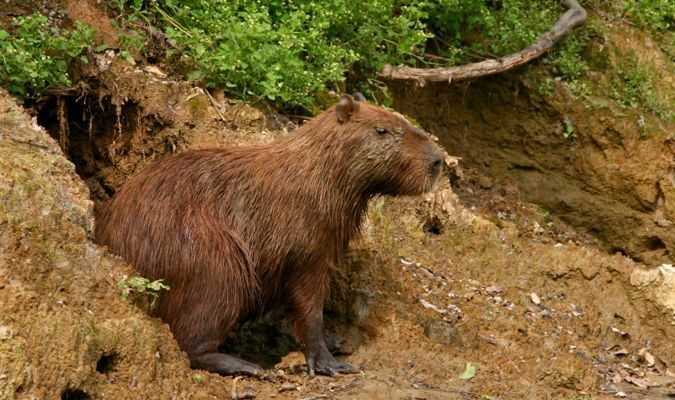 The pampas tours are the cheapest option and are where you’ll see the most wildlife, including alligators, squirrel monkeys, and the giant rodent capybara. It may not be the classic Amazon jungle experience you envisioned, though, as the pampas are a wetland savannah on the edge of the Amazon basin rather than deep in the jungle, but the lack of trees means it’s much easier to spot wildlife. All the tour operators operate nearly identical two-night/three-day trips for $64 USD plus the $21 USD park entrance fee. 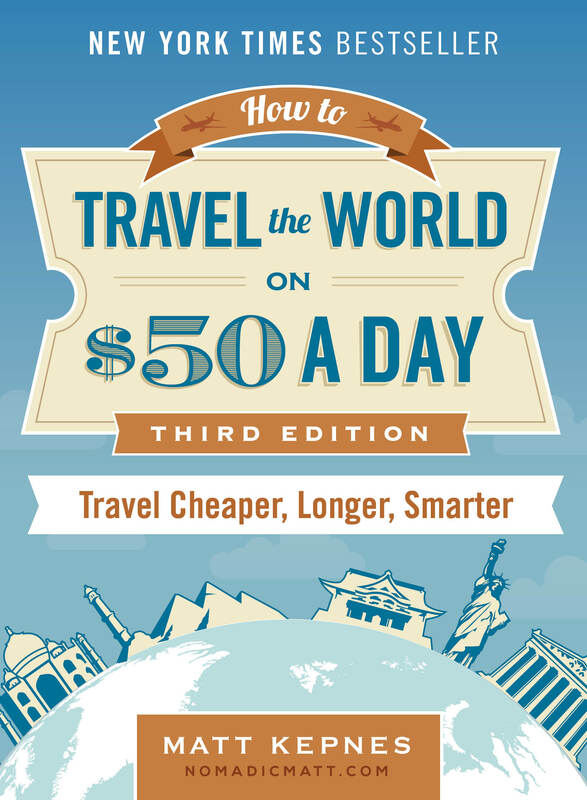 This includes all transport, food, and a guide. You get what you pay for, so expect basic accommodation and meals (I recommend bringing snacks), and your guide may not be the most knowledgeable if you go with a cheap operator. Since guides are so important to the overall experience, make sure you ask around for a company with good, knowledgeable guides. 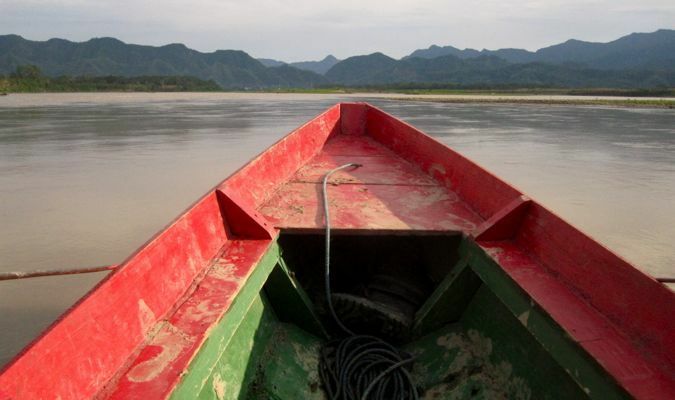 After a very bumpy three-hour jeep ride to the jungle, you’ll transfer to a motorized canoe and travel a further three hours along the river to your lodge. The river trip was the highlight for us, as we got up close to an amazing amount of wildlife: hundreds of alligators, entire families of capybara (giant semiaquatic rodents), turtles sunbathing on logs, and trees full of tiny yellow squirrel monkeys. All while birds such as egrets, herons, roseate spoonbills, blue kingfishers, eagles, and hoatzin (pheasant-like birds with blue faces and spiky hair) flew and nested around us. The riverside camp is in a peaceful setting among the trees, with plenty of wildlife-spotting opportunities (I had monkeys peering into my room!). 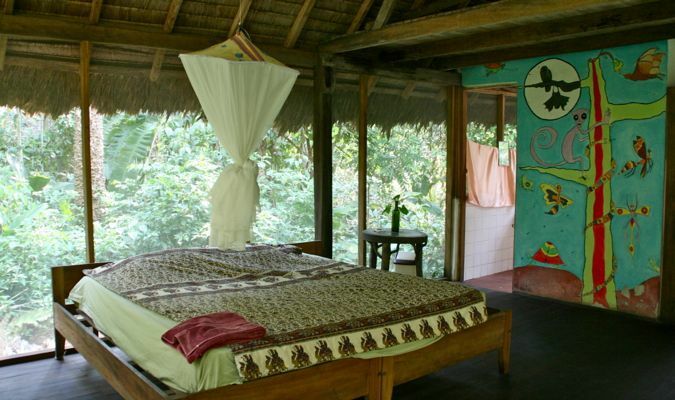 Accommodation is in shared wooden huts on stilts, and you’ll wake up to the raucous sounds of howler monkeys. A generator provides power until 10pm so you can enjoy cold beers or Cokes while lounging in a hammock and watching the sunset over the river. The pampas tours are a great way to view lots of wildlife for a very affordable price, but choose your tour operator carefully and make sure they don’t touch or feed any of the wildlife, especially anacondas. For a more classic Amazon experience, opt for a jungle tour. You stay at an eco-lodge in the jungle and do activities from there, but this can be pricey. We (my other half and I) paid $207 USD each for a two-night/three-day tour with Madidi Travel to their Serere Lodge, but we did get a large, comfortable bungalow, great food, and a very professionally run trip. We also liked that profits from the trip go back into conservation work for the area. Although triple the price of a pampas trip, this is still much less than you’d pay for a similar experience in Brazil. Serere Lodge is reached by a three-hour canoe ride and short trek through the jungle. 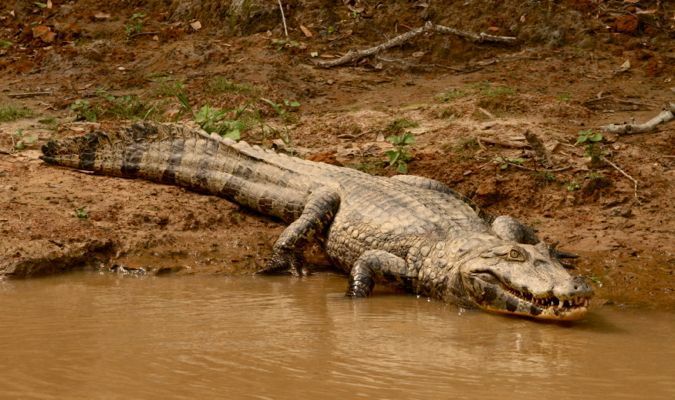 You can choose from a range of activities, including canoe trips on the lake next to the camp (at night you can see the glowing red eyes of caiman), day and night treks in the jungle, piranha fishing, and making jewelry from nuts and seeds. Jungle treks are tiring in the heat and humidity, and there were many more mosquitoes than in the pampas. It is also much more difficult to spot wildlife — you could spend hours and not see one monkey, while we’d canoed past dozens of them in the pampas. It was interesting to see colorful spiders and giant bugs, and learn about the medicinal uses of trees and plants, though. In general we just enjoyed the peace of being in the jungle, especially from the comfort of a hammock, even if we didn’t see a lot of wildlife. There are cheaper jungle tours available with more basic accommodation for similar prices to the pampas trips. 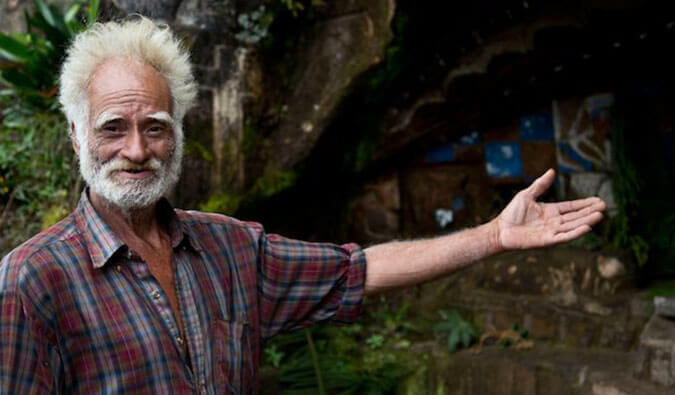 We also met someone who had hired a guide independently and trekked and camped out in the jungle. This will save you money and possibly be a more authentic experience, but conditions in the jungle are hard, so don’t undertake one of these treks lightly. If you have the budget and time, I’d recommend both the pampas and jungle trips, but otherwise you’ll need to prioritize spotting wildlife in the pampas or the classic jungle experience. You can get to Rurrenabaque from La Paz by a horrendous, bumpy 20-hour bus ride or take the scenic 35-minute flight across snowy mountains and into the jungle. We flew with Amaszonas for $75 each way, but TAM might be a little cheaper. Obviously the $10 bus ride will save you money, but it might not be worth it for your sanity! The best time to visit the Bolivian Amazon is the dry season from May to October, when there is more wildlife attracted to the rivers and less mosquitoes. There is no ATM in Rurrenabaque, so bring plenty of cash. We did our pampas trip with Indigena Tours. I can’t say I recommend them, as it was quite badly organized, the food portions were too small, and our guide wasn’t very helpful. But at least they didn’t touch any of the animals, which is a common problem here. There are definitely worse tour companies in Rurrenabaque. Ultimately it’s a cheap trip and you get what you pay for (there aren’t any more expensive, better-run options), but it was worth it for us to get up close with so much wildlife. Visiting the Amazon jungle is a highlight for many travelers in South America, and it’d be a shame to miss out because you can’t afford the high cost of trips in Brazil. For us, Bolivia made for a perfect alternative. Erin McNeaney and her partner Simon sold everything they owned and left the UK in March 2010 to travel the world forever. They run a WordPress web design business on the road and have traveled to Latin America and North America; they are currently in Asia. You can follow their adventures at Never Ending Voyage, or Twitter and Facebook. 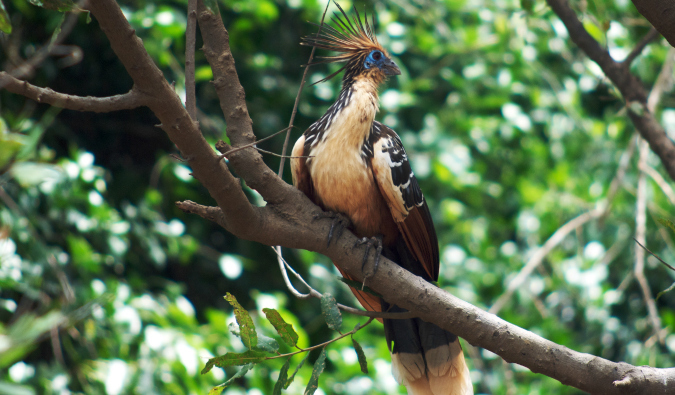 Madidi is well worth seeing and Bolivia is one of the best kept secrets! Glad you enjoyed it too. Bolivia was probably our favourite country in South America – we had so many amazing experiences there. Very good travel story! But I still hesitate to go that part of the world. Alligators, mosquitoes, snakes and other unknown insects really scare me to venture myself to that area. We were really interested in all those things, except for the mosquitoes which were just annoying! At one point we had to get out and push our canoe in low water – it was a little disconcerting with alligators a few feet away but they didn’t seem interested in us. It was one of our highlights during a year in South America. The jungle tour is definitely the way to do it a bit more luxuriously. The pampas trip is basic but I can imagine kids loving getting so close to all the animals. I was ALL set to go there until I ate a pizza the night before with some funky mushrooms. It took 3 days to recover and by that time I had to head back down to Buenos Aires really quickly 🙁 I know I really missed out! Oh no! Yep, you missed out 🙂 An excuse to go back to Bolivia though. Love this! Gerard can’t stop talking about how much he wants to go to Bolivia mainly for the salt flats. Now we have another thing to look forward to. And.. to have a cheaper and less touristy option is always a good thing. Great post! The salt flats trip is also incredible. We did a four day jeep trip from Tupiza to Uyuni with Tupiza Tours and had an amazing experience. Great guide to the Bolivian Amazon! We did the pampas tour from Rurre too. It was great seeing all the wildlife but so many things went wrong and we didn’t really like our tour company. Plus we got eaten alive by mosquitoes (we went in January). I guess you get what you pay for! Most people aren’t that impressed with their tour company and unfortunately there don’t seem to be any better, more expensive alternatives. We met one couple who had paid double the going rate but their tour was just as bad. Good advice; Brazil is quite expensive. Met many people in La Paz who did the trip to Rurrenabaque and most of them said it was definitely worth it. Other option might be to visit the Amazon from Peru which I did few years back. Peru is another good option. It’s more expensive than Bolivia but still a lot less than Brazil. Hope you make it one day Christine. Thanks for sharing a new option for visiting the rainforest. We always prefer the less traveled path and Bolivia sounds like a great alternative to Brazil. it seems like a dream journey…rainforest..absolute wilderness…thrill… with the best chance of sighting undisturbed wild life…. Bolivia is by far my favorite country in south america. i lived in the amazon for 3 weeks doing some work, and by god there was a lot of mosquito on a night and when i was clearing some land in the day as well. Loved every min of it though, swimming everyday, some times with the pink river dauphins if you was lucky. we went out catching baby crocs on a night, one of my best pass times. this was well away for the civilized world though. i was meant to be a tour guide and and translator for the time i was working there but there was not one tourist. really helped with my Spanish though. Wish i had seen this blog before i got to Bolivia though. good helpful info. Hi My name is Jean Marie and I am a third grader. Thank you for all that information – I have a project where I have to create a brochure about why to travel to Bolivia. I am learning all about Bolivia, but your webpage helped me to discover one of the great reasons to travel to Bolivia! Thanks! I’m about to head to La Paz and fly to the Amazon. I’m hoping to do the Pampas – but not sure what company! Also considering the Jungle, but don’t want to hike with my backpack for hours on end to reach the spot. Plus I’m volunteering in the Amazon in Ecuador, so part of me thinks I don’t have to do both. My question is – should I pre-book a tour (somehow decide a company) or should I fly out there, give myself 5-6 days and book a tour once I’m out there and hear of people’s experiences? What type of tour would be less geared towards tourists and more for ecologists/biologists? I am planning a trip to the Amazon on a budget, and I’d like the most authentic experience possible. While I like all kinds of wildlife, I am most interested in birds (parrots) and interesting insects and arachnids. What sort of tour would be my best option? I would just be by myself so I wouldn’t need fancy accommodations. Also, would you be able to recommend other must see places in Bolivia that are off the beaten path? Could you direct me to some helpful links if you have them? Thanks!